Tibetan Buddhist Monastery Chooses Faswall - ShelterWorks Ltd.
Project contractors Alpha & Omega Construction from Oldtown, Idaho recommended Faswall green building blocks because they offers several beneficial characteristics that were important to Sravasti Abbey’s residents. Faswall blocks create incredibly strong, durable structures that will last for generations. They are made with a blend of wood and concrete, which means they resist damage from pests – a plus since the abbey is surrounded by forestland. Faswall is a made from 60 percent recycled materials, which is only one of the things that makes it an outstanding green building material. The blocks have unrivaled thermal mass, which means they create warm, comfortable buildings. No cold air seeping through cracks in this building! Structures built with Faswall green building blocks are also extremely energy efficient, which helps keep utility bills low. The word “Chenrezig” means “The Buddha of Compassion,” and we have no doubt that all who enter this sacred center will feel compassion and love from its residents. 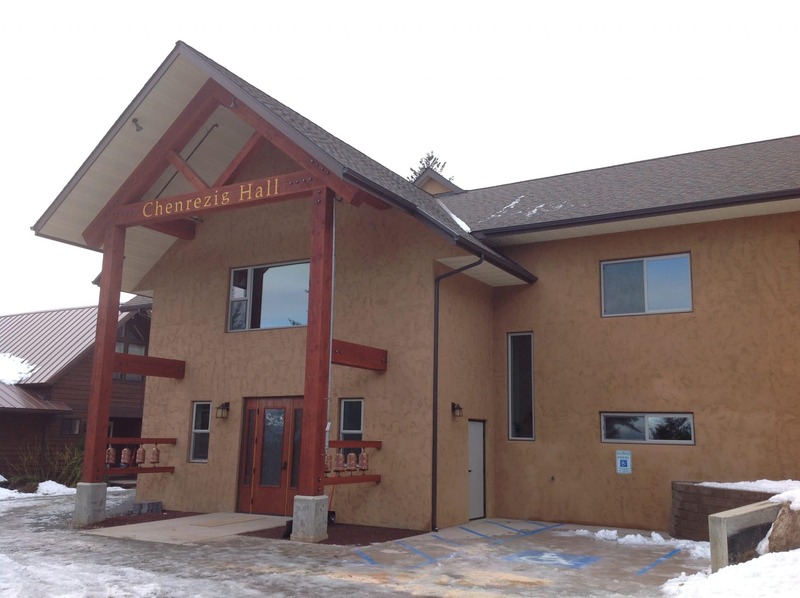 Chenrezig Hall is a great example of how Faswall green building blocks can be used for commercial buildings. Can we help you build an office, medical or dental center, shopping plaza, industrial building, or your own place of compassion? Please contact us today for more information. Categories: Energy Efficient Walls, Faswall Alternative Applications, Faswall for Sustainability, ICF Commercial Buildings, News & Events, Project Gallery, Sustainable Building Tags: green building block, green building blocks, thermal mass Leave a comment ?